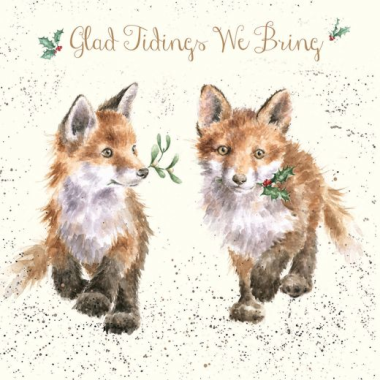 This Christmas card design, featuring two playful fox cubs, is printed on high quality, textured board and is 150 x 150mm in size. Finished with gold foil detail. It is supplied cello wrapped with a kraft envelope and reads 'Merry Christmas' inside.